M-75 Aristocrat, LP-Shaped Guitar from Guild in the Newark St. Collection series. The Guild Custom Shop reintroduces electric guitars in 2013 with the American Patriarch Series. 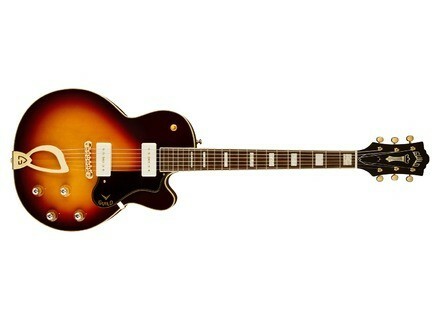 The Guild American Patriarch Series includes the two Artist Award and X-500 Stuart archtop-style and the M-75 Artistocrat plain top Les Paul-style guitars. Discover the Guild American Patriarch on www.guildguitars.com. [NAMM] Guild opens a Custom Shop Guild celebrates its 60th anniversary and opens a Custom Shop which first guitar is a limited edition anniversary acoustic Orchestra.